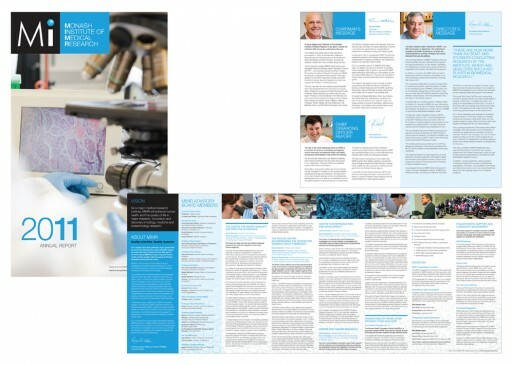 Monash Institute of Medical Research 8 panel roll fold 2012 Annual Report summary brochure. 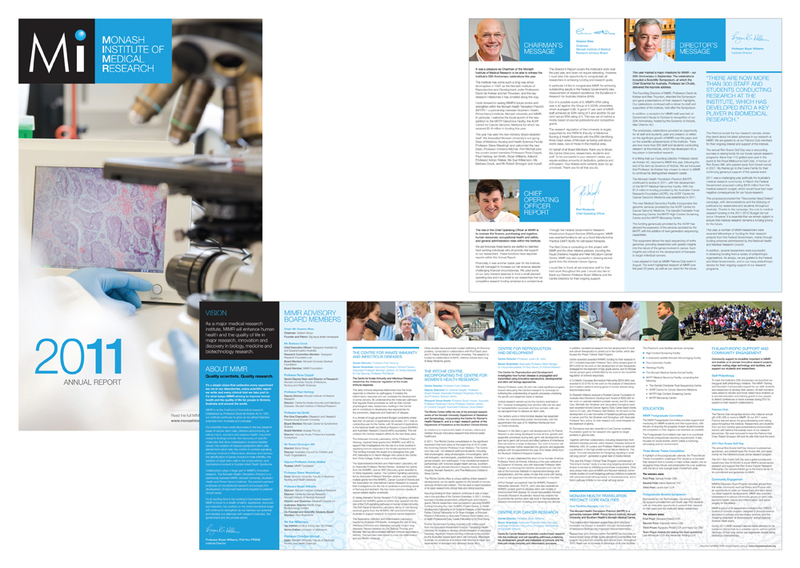 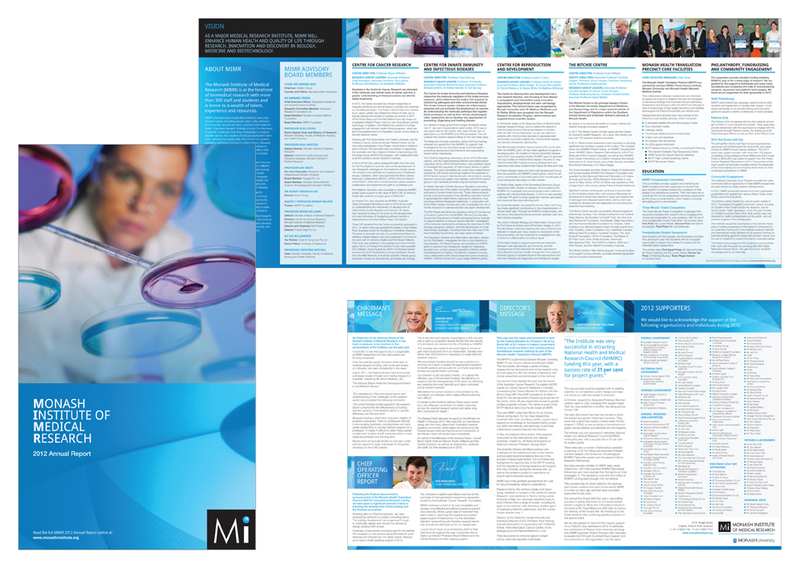 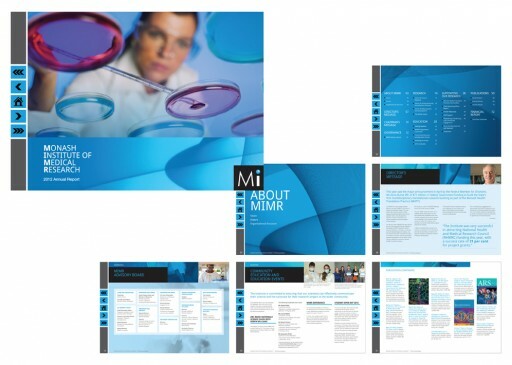 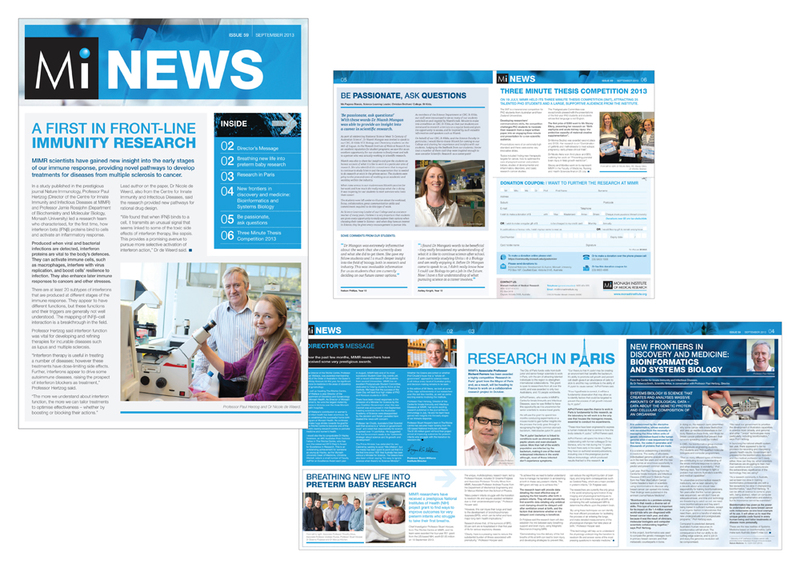 Monash Institute of Medical Research 6 page A4 trifold MI NEWS quarterly newsletter. 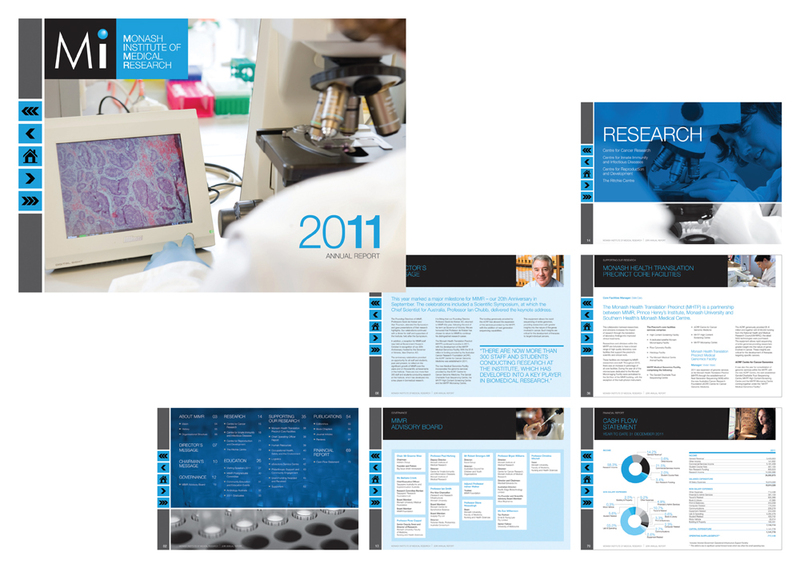 Monash Institute of Medical Research 8 panel roll fold 2011 Annual Report summary brochure.